When looking for the right car for your needs and lifestyle, you’ve probably heard people discussing the advantages of a certified pre-owned vehicle. But what does certified pre-owned mean? And most importantly, is it the right choice for you and your family? That’s where we come in. 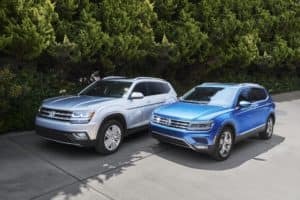 We spoke with the experts at our service center at Toms River Volkswagen to learn all about what certified pre-owned really means. Whether you’re from Toms River, Brick, or Freehold, you’re going to love learning all this useful information, so read on. Then contact us today for more information! For a vehicle to qualify as certified pre-owned, it must pass a rigorous inspection process. Expert technicians go over the entire vehicle to determine if it meets the high standards set by the manufacturer. Should any part of the car be worn down or damaged in any way, mechanics will either replace or repair the piece. This helps you ensure your car is operating in peak condition, and helps you feel safe and secure while out on the road. While different car dealerships have varied certified pre-owned vehicle programs, there are a few standards you can expect from opting for this sort of automobile. Most programs provide you with a multi-point inspection, vehicle history report, and a comprehensive warranty from the time of purchase. Some also come with roadside assistance and trip interruption reimbursement, so be sure to speak with your dealership today! Besides having to meet extremely high safety and performance standards, there are other benefits to choosing a certified pre-owned vehicle as your next car of choice. Most certified pre-owned vehicles are no more than five to eight years old, and with good reason. This helps them maintain a high quality of vehicle and ensures that you have a safe trip wherever your journey takes you. Many certified pre-owned vehicles also come with mileage limitations and extended warranties as well, to maximize your security whenever you’re out driving. Find our certified pre-owned VW dealer near you to get started! When you’re looking for the right certified pre-owned automobile for your needs and lifestyle, you know it’s important to have variety. That lets you rest secure, knowing you’ve looked at every available option and chosen the one that suits you best. At our dealership, we’re constantly updating our inventory with new makes and models so you have tons of options to choose from. You can check out our certified pre-owned inventory online too, so be sure to take a look at it today and see what works for you! Now that you know all about certified pre-owned vehicles and the advantages they can offer, it’s time to visit us and see what we have in stock that best suits you. Head on over to Toms River Volkswagen to check out our certified pre-owned inventory, speak with our friendly staff, or schedule a test drive in the vehicle of your choice! We’ve helped drivers from Toms River, Brick, and Freehold find the right cars for their needs and lifestyle, and we can’t wait to help you too!